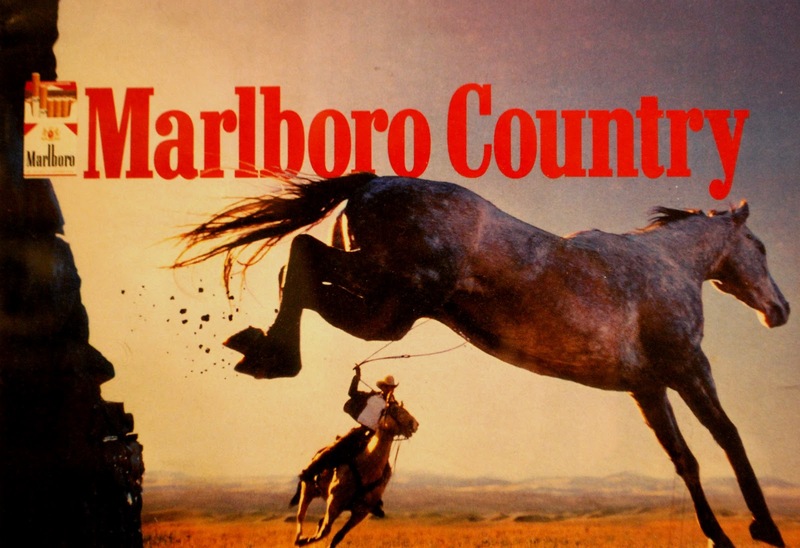 The news: As it turns out, America may really be Marlboro Country, or at least cigarette country. But luckily, that&apos;s been changing. The above .GIF, created by MetricMaps, shows the number of cigarette packs sold per capita rise dramatically through the late 1970s before plummeting to just a fraction of that by the 2000s. While the Centers for Disease Control and Prevention estimates that an astonishing 18.1% of all U.S. adults continue to regularly smoke cigarettes, it&apos;s a 2.8% decrease from 2005 alone. While almost every state had sales of more than 100 packs per capita or close to it in 1970, just West Virginia and Kentucky do today. Since the map tracks sales rather than smokers, some of the statistics are skewed — Redditors noted that New Hampshire reports disproportionate sales thanks to its low cigarette taxes. What&apos;s more, older Americans have quit the habit en masse. Gallup noted in 2008 that just 9% of those 65 and older were still current smokers, even though 56% of the respondents in that age group reported smoking at some point in their lives. Now just 1 in 5 Americans smoke. Gallup expects the trend to continue, especially as young adults are less and less likely to pick up the habit. Why are so many people quitting smoking? According to CBS, Foundation for a SmokeFree America executive director Patrick Reynolds told the Associated Press that effective anti-smoking laws like state/federal tobacco taxes, prevention and cessation programs and public smoking bans have played a critical role in the successful effort to curb smoking, as has an increased public awareness of the terrible health effects tobacco has on the body. "This is a real decline in smoking in America. I&apos;m ecstatic about it. It&apos;s proof that we are winning the battle against tobacco," he said. According to the New York Times, doctors have also had ample time to sort out which kind of programs work and which don&apos;t. For example, school education programs hardly do anything, while education about tobacco marketing techniques has a "big impact." Policies like smoke-free workplaces also cut down on the number of cigarettes smokers actually ingest per day, while bans in public locations make it easier for people who want to quit to abstain. Why you should care: Though it might take decades to see the full health benefits of a smoke-free society, America is already making significant progress toward that goal. "It&apos;s harder and harder to avoid the message that smoking is a major health risk," American Academy of Family Physicians president Reid Blackwelder told the New York Times. "It&apos;s easier and easier to find ways to quit. Finally, it&apos;s just becoming more expensive to keep smoking."